In 1912, the Washington State College (WSC) Student Body President, W.J. Kopen, appointed a Cooperative Store Committee to study the feasibility of establishing a student bookstore on the campus. The group approached H.S. Groat, owner of a small pharmacy store located where Wilmer Davis Hall now stands and inquired about buying out his inventory and taking over his lease. This began the development of what we know today as The Bookie. The Students Book Corporation has historically been managed by the Corporation’s Board of Directors and Trustees. In June 2004, the corporation entered into a management agreement with Barnes and Noble College Booksellers, Inc. to operate and provide services for the bookstore. From its inception in 1914, the Students Book Corporation has been governed by a corporate board of directors. The Board presently consists of nine members, where current students hold the majority of representation. There are four undergraduate students, one graduate student, and the remaining four members consist of two teaching faculty from WSU campus and two administrative representatives. There are also three alternates consisting of two undergraduate students and one graduate student. 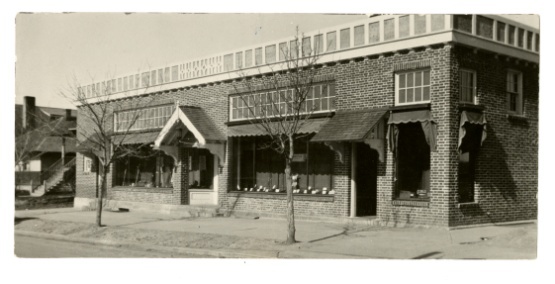 In 1954 The Bookie moved across the street to 700 NE Thatuna. 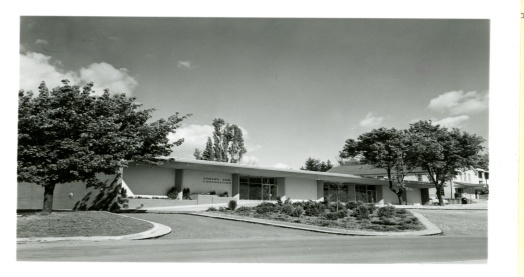 The new store was financially successful and the Students Book Corporation Board of Directors began to consider ways to give a cash distribution back to the students in 1956. Since 1992, the distribution amount has been 10%. The Bookie conducted business at the Thatuna location until 2008 when it moved to the CUB. The Bookie became an anchor tenant in the CUB solidifying the cost of the renovation.